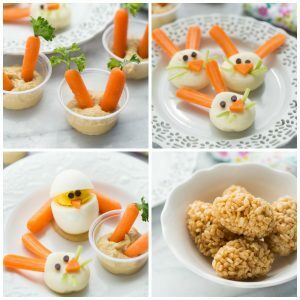 4 Kids Valentine’s Snack! 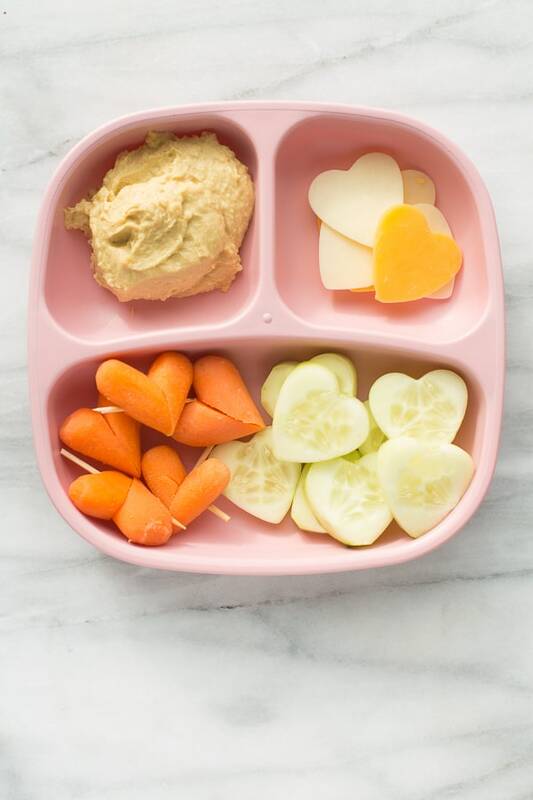 Easy, healthy snacks for the little loves in your life. Perfect for Valentine’s Day Class parties and playdates! 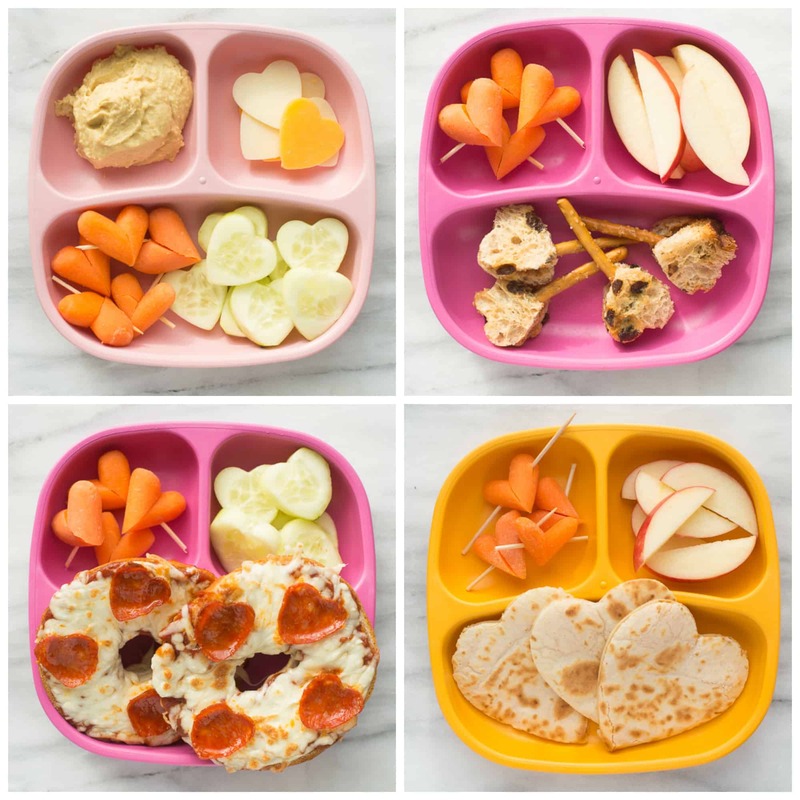 Valentine’s Day is around the corner and if you’re in charge of class parties, play dates or just want to make something fun for your kids these little snacks are perfect! I saw a quote the other day that said “I wish I was a Pinterest Mom but I’m more of an Amazon Mom” and totally laughed. I would say that most of the time I am totally an Amazon Mom over a Pinterest Mom. (I can’t sew for my life, homemade Halloween costumes don’t happen every year at my house, I’m not into thrift stores, etc.) but my exception is holiday food! I love fun festive treats! Most of these treats are really easy if you have a set of small heart cookie cutters. I got this set of mini heart clay cutters on Amazon for just $5. My 1-year-old loves dipping things in basically anything, but especially hummus. 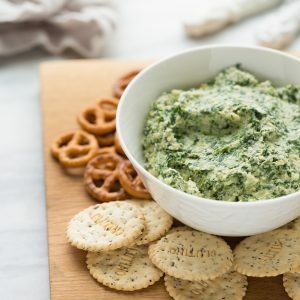 I always have cheese, hummus, carrots, and cucumbers in my fridge and make this snack combination on a regular basis – it’s just dressed up here for Valentine’s Day! Make the sandwich then cut out mini hearts. Add a gluten-free pretzel for a handle. 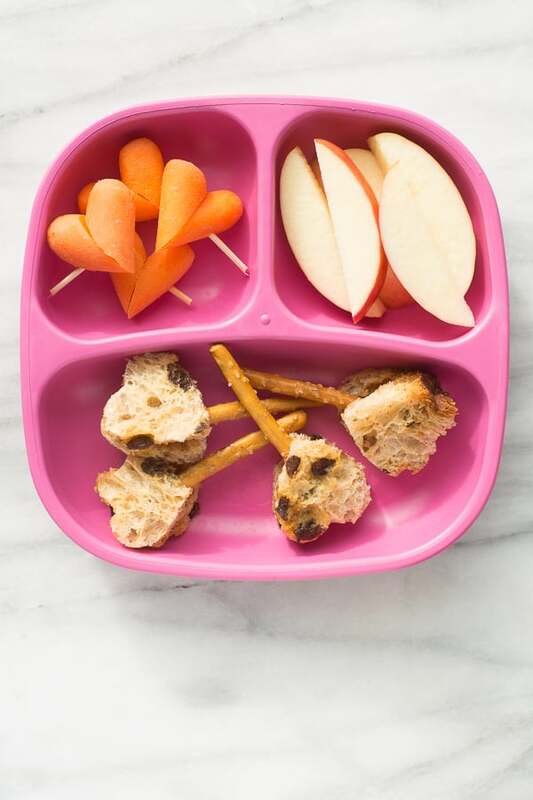 My kids love these and they are perfect for lunch boxes! Spread pizza sauce on both sides of the bagel. Sprinkle with cheese and top with the heart pepperoni. Broil for 3-4 minutes until golden and bubbly. 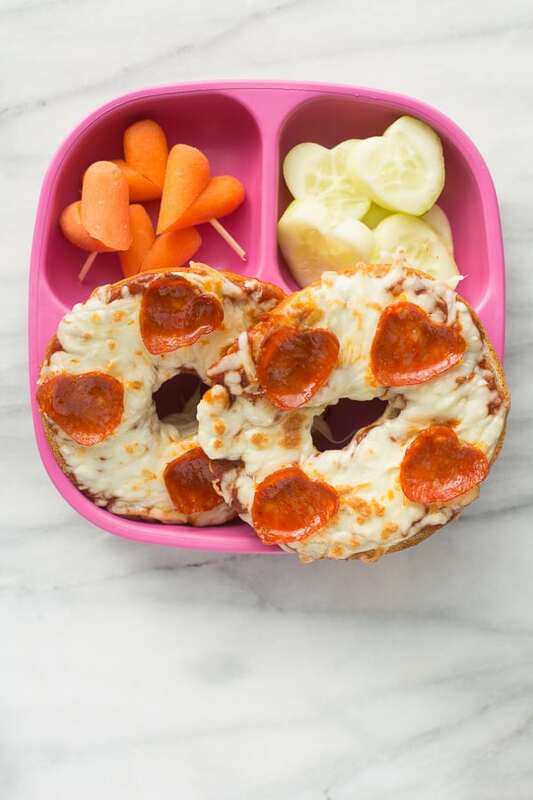 Have you tried pizza bagels? They are so easy and my kids love them for an easy lunch or dinner when I don’t feel like cooking. Cutting the pepperoni out like hearts makes these special! Make the quesadilla and cut into hearts. Enjoy! This is so embarassingly easy I almost didn’t include it. 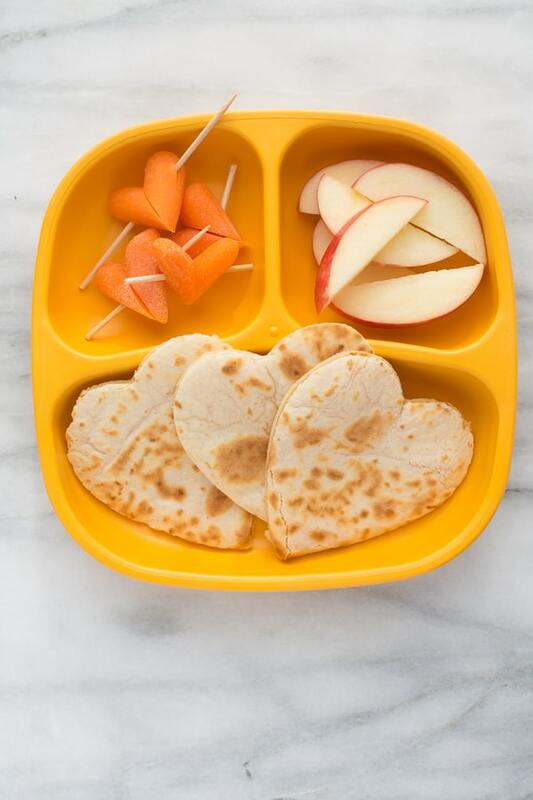 But my kids love quesadillas and they are super easy to turn into a Valentine’s Day snack! Great ideas! Simple and cute. I love the plates. Where can I purchase some? 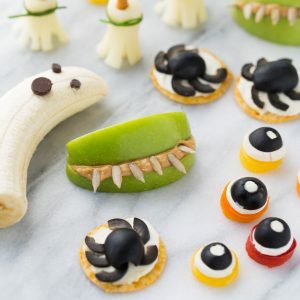 I LOVE these fun snack ideas! They are perfect for making Valentine’s fun for the kids! I can’t get the toothpick in the carrots! Are there certain toothpicks I should be using? These are adorable! So perfect for Valentine’s Day!